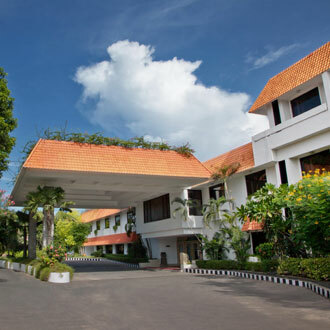 Strategically located close to Chennai airport the Trident hotel has a sprawling 5 acre property. Nestled amidst the tropical gardens, are a total of 167 elegantly appointed rooms having a contemporary style. There is also a meeting hall for official matters. Guests can relish on some mouth-watering delicacies at Cinnamon, an all-day Indian specialty restaurant, or simply relax and unwind at Arcot Bar, which is located at the lobby level.